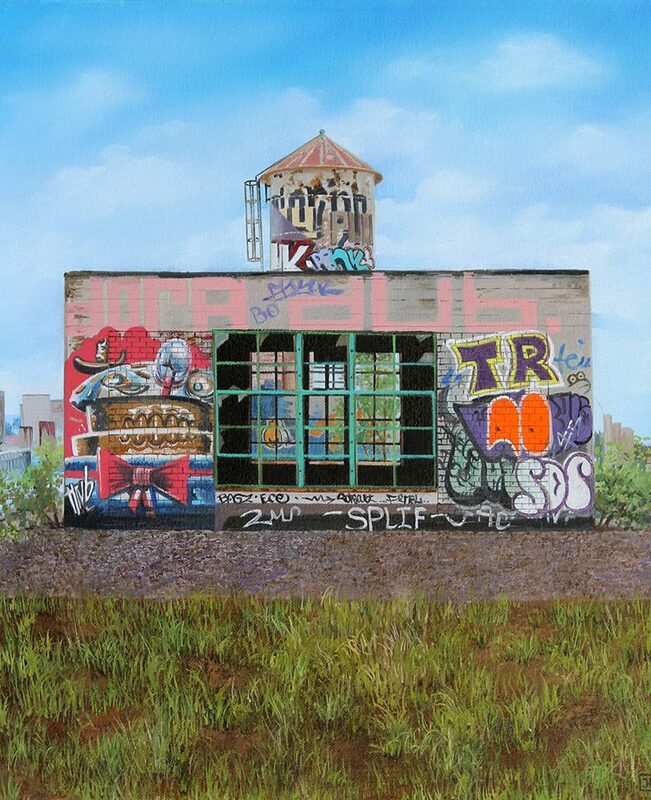 Scenes of urban decay find a kind of permanence in the documentary paintings of Jessica Hess. 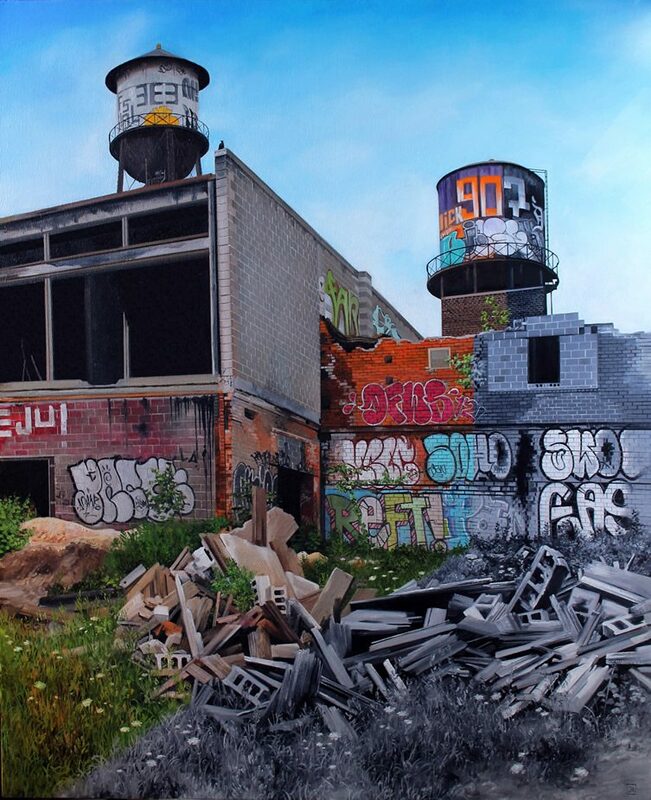 The San Francisco artist searches through the urban landscapes of America, seeking out abandoned and crumbling buildings, forgotten by all but the underground artists who re-skin the brick and concrete ruins with new identities even as they slowly waste away. 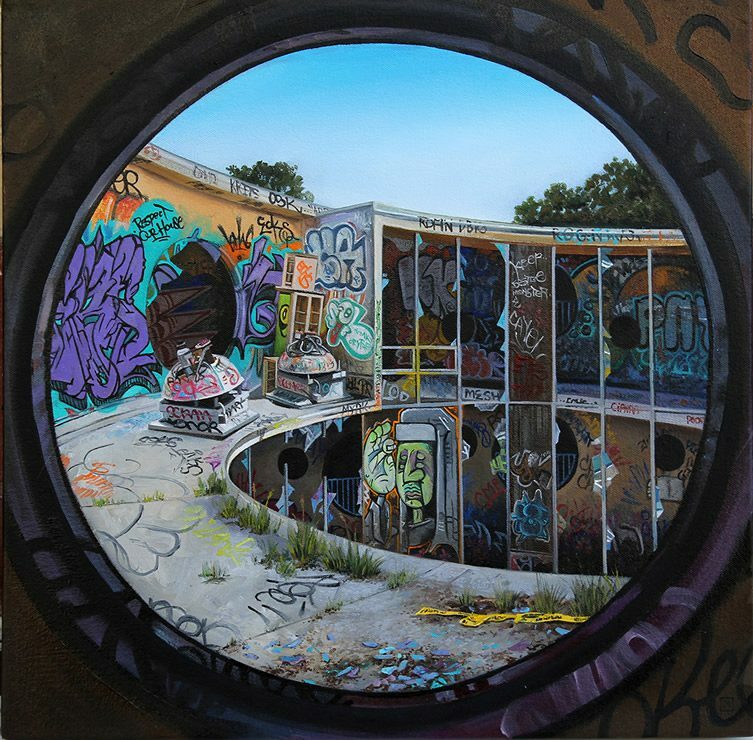 More is More is Hess’s latest collection of realist oils, in which she makes a move towards abstraction by re-examining her creative technique. 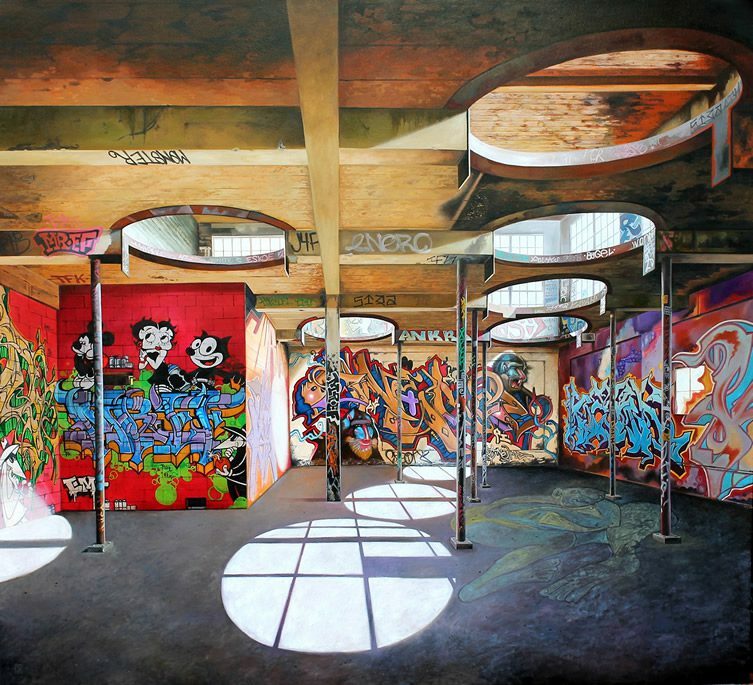 Successful abstraction, Hess believes, can only come about as the result of careful observation and dissection of reality, and the artist has been revisiting the sketching stages of her works, bringing to the fore expressive aspects which she feels are deserving of a more prominent role. 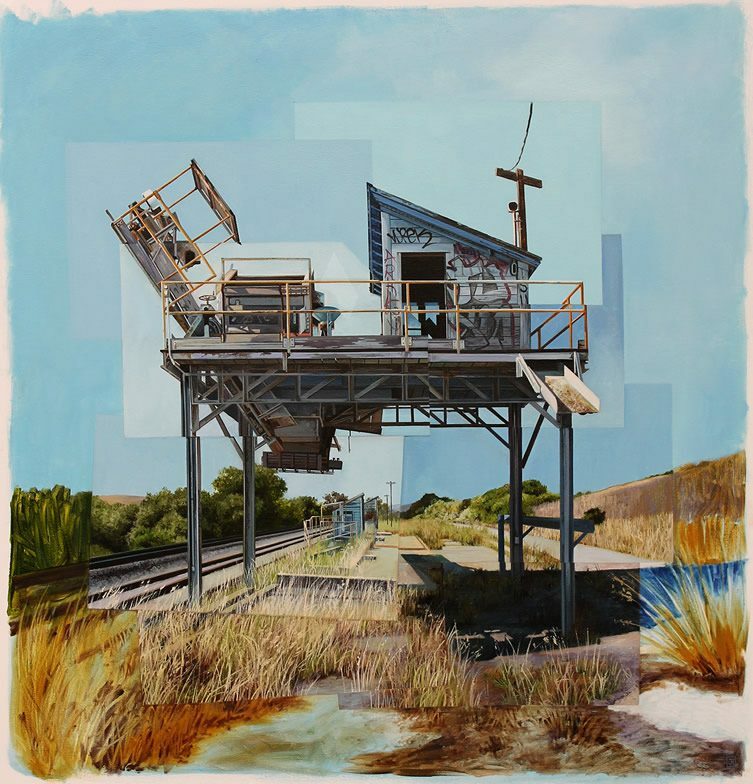 Hess has also been playing with the realist effect in her manipulation of colour, employing gradations that in places render the scenes completely monotone, creating the effect of old photographs of yesteryear and quickening, in her canvas reality at least, the inexorable passing of time. 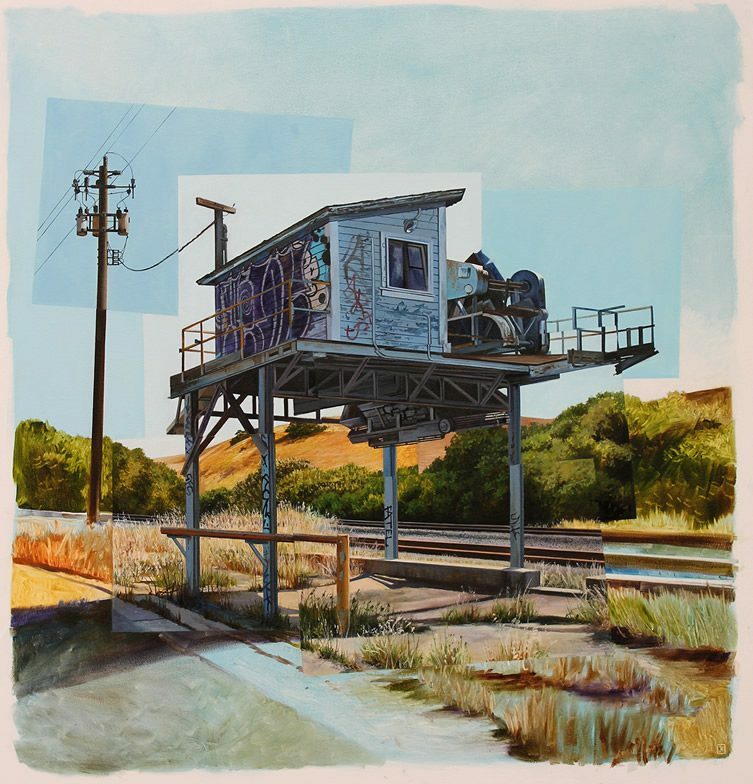 More is More is being shown at Hashimoto Contemporary, San Francisco, until 22 August.